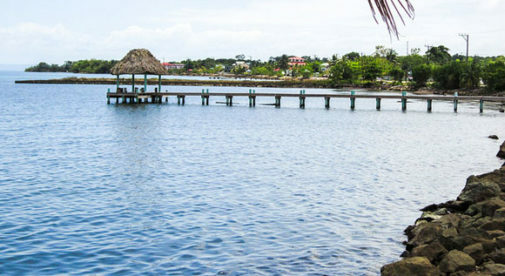 Unlike the more popular beach towns in Belize, Punta Gorda—in the Toledo District—is seldom crawling with tourists. And you’ll find few expats in Punta Gorda, compared to towns like Corozal, San Pedro, Placencia or San Ignacio. Upon visiting earlier this year, I learned that a growing number of expats are visiting and trying out the region to see if it’s a fit for them. Punta Gorda, often called PG, is not a party town. Actually, many of the expats who live there fulltime own and operate a business. Others are deeply involved in volunteer or nature-related activities. The long-term expats seem to have integrated seamlessly into the local community. 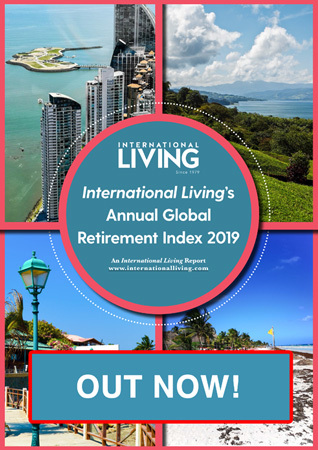 So those expats I quizzed had a hard time coming up with “expat hangouts.” They said that they have little time to “hang out”… Although of retirement age, few are retired. In the Toledo district of Belize you’ll find the 4R’s – rivers, reefs, rainforests, and ruins. The Toledo region is often overlooked because it’s located at the southern end of Belize. Belizeans refer to this district as “The Forgotten Land” since it’s Belize’s least visited destination. 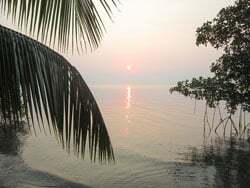 But here you will find all of Belize’s 4Rs—rivers, reefs, rainforests, and ruins—in one location. And the Toledo District is the authentic Belize…the Belize of 20 years ago. This region has a lot to offer those who are happy to live a simple lifestyle, on a moderate budget. Punta Gorda, and the Toledo District, are both attractive to expats on a budget because the cost of living in this region is reasonable. I would dare say that Toledo is currently Belize’s lowest-cost expat region. An expat can easily live in this region for less than $1,500 a month. It’s possible to live on less than $1,000 a month. And the property prices are surprisingly affordable. Recently, a three-bedroom, one-bathroom, 1,250-square-foot home on the outskirts of Punta Gorda, with a Caribbean Sea view, was going for $135,000. Although there are no formal expat social groups, per se, there are a few locations where newbie expats regularly mix with seasoned expats, seeking their advice. At two popular, inexpensive café/restaurants, expats congregate and discuss issues related to moving to and living in Punta Gorda and Toledo. This slightly hidden, non-pretentious breakfast/lunch café is located in the middle of town, near the bus depot. It’s owned and operated by April Echeverria, the daughter of an expat missionary couple who settled in Punta Gorda over 40 years ago. April grew up in Punta Gorda and married a local. The food at the Snack Shack is fresh, tasty and inexpensive. The coffee is decent—the cheapest fresh brew around. The Snack Shack is the most popular hangout where expats gather for breakfast or lunch, and to exchange information and catch up. April’s husband, a tour operator, offers a variety of local guided trips. While eating breakfast at the Snack Shack we noticed a mix of college-aged backpackers and expats in their 60s, enjoying their meal. The backpackers were getting ready to leave on a local tour. But we also overheard the local expats advising newbie expats on a variety of matters. Some of the topics discussed included how to find and buy property and how to obtain residence in Belize. Another popular hangout is Da Lazy Fish, located on Front Street, in the Fishing Cooperative building. Da Lazy Fish is owned by Tiffany Morgan, a chatty, spirited New Orleans gal. Tiffany definitely makes her clients feel welcome. And her seafood dishes are fresh, tasty and well priced. During several drop-in visits it was clear to me that this café on the bay has a loyal expat clientele who hang out regularly, coming for both food and camaraderie. I first visited with a local expat estate agent who suggested this restaurant as a favorite lunch spot where expats frequent. In the evenings Tiffany sometimes hires a live band. TripAdvisor readers give Da Lazy Fish high ratings for their food. Of course, you can find a bar or two in Punta Gorda where a select group of expats spend their time imbibing. But for those who wish to meet expats who can offer coherent advice, opt for a visit to the Snack Shack and Da Lazy Fish. And if you happen to stay at one of the resorts owned by expats, they usually are a wealth of information. Several that come to mind include The Coral House Inn, Hickatee Lodge, and the Lodge at Big Falls. The owners of all three establishments have lived in the District for years and are extremely helpful.